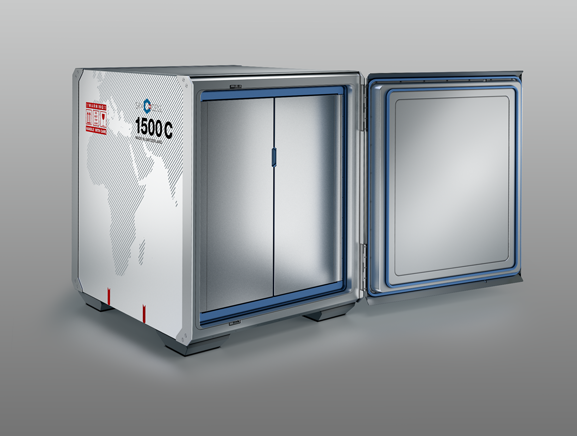 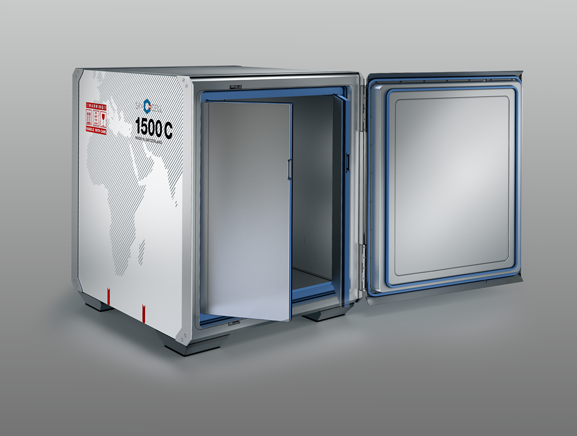 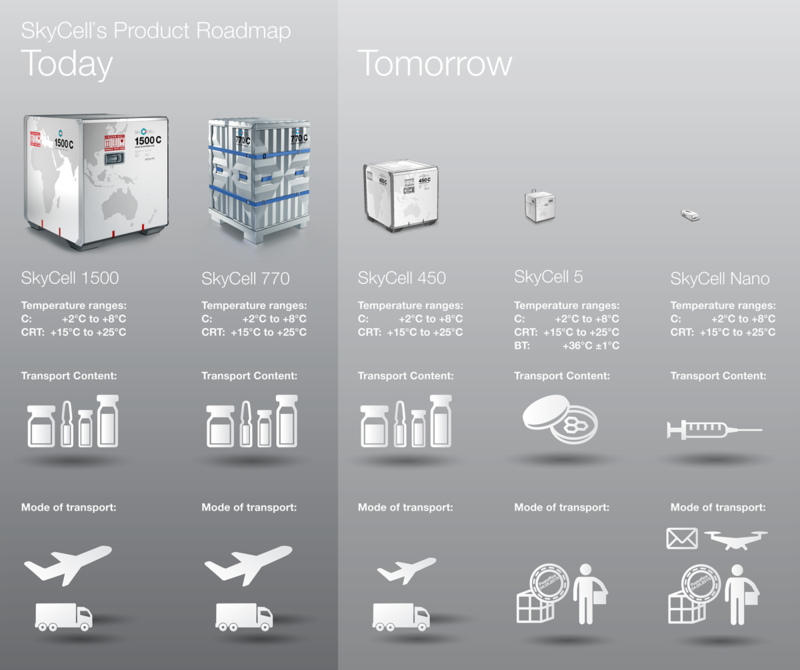 SkyCell containers permanently monitor the inside and outside temperature. 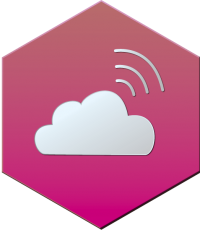 • Backup to Pharma companies own usb temperature monitoring devices. 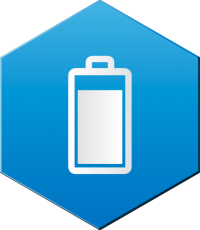 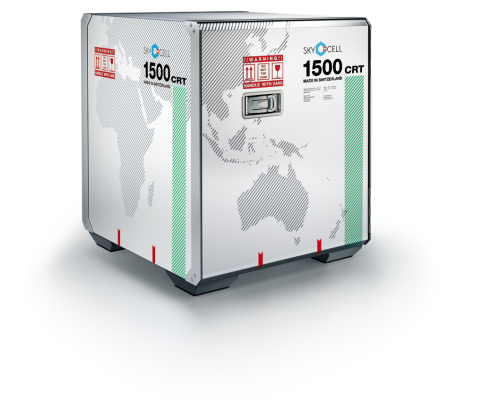 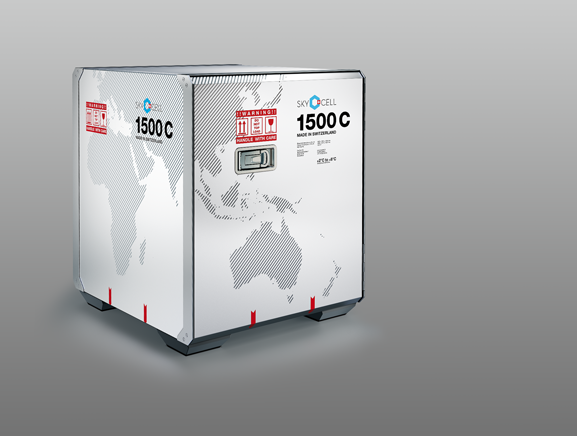 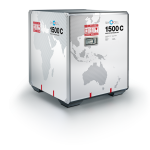 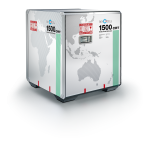 The SkyCell 770C and 1500C “cold-energy battery” operates only on temperature differences – so energy and runtime are only reduced when the temperature is greater than +5°C and lower than +2°C. 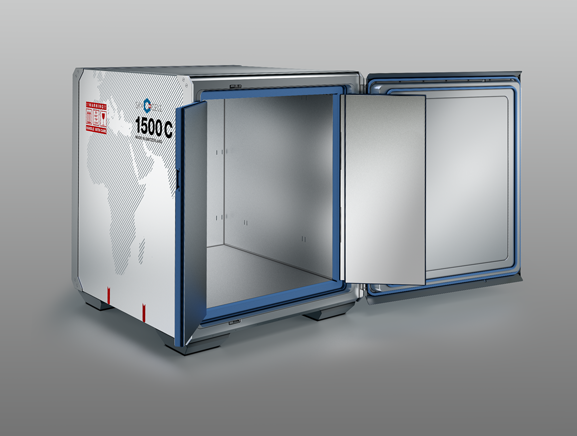 If at some point during its journey the SkyCell unit is placed back into a refrigerated area, such as a warehouse or chilled truck at +5°C, the unit starts to recharge again. 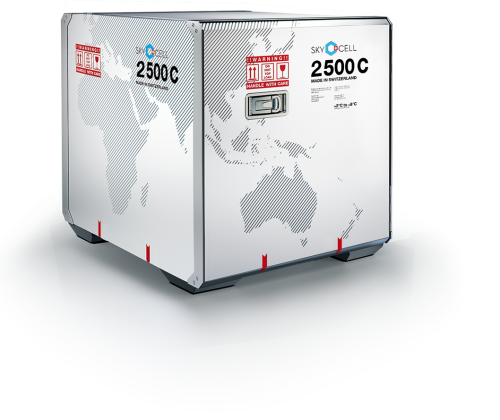 Also, if the temperature is consistently between +2°C and +5°C, no energy is consumed and there is no reduction in the container’s runtime. 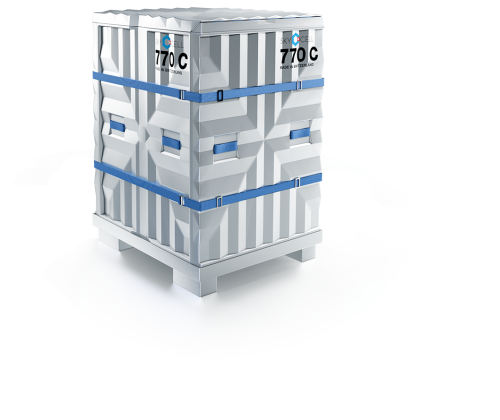 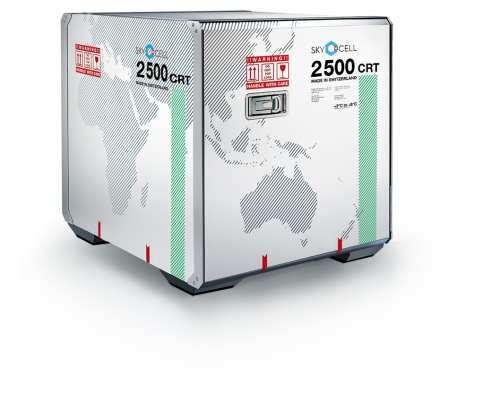 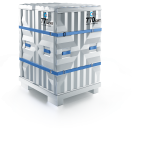 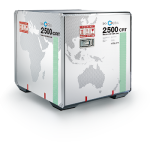 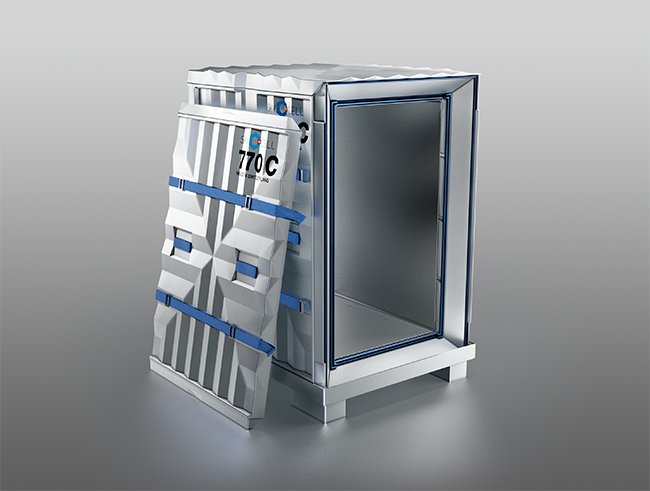 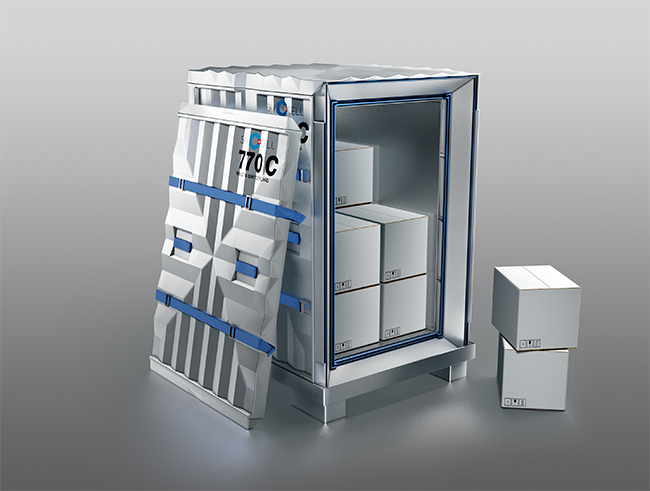 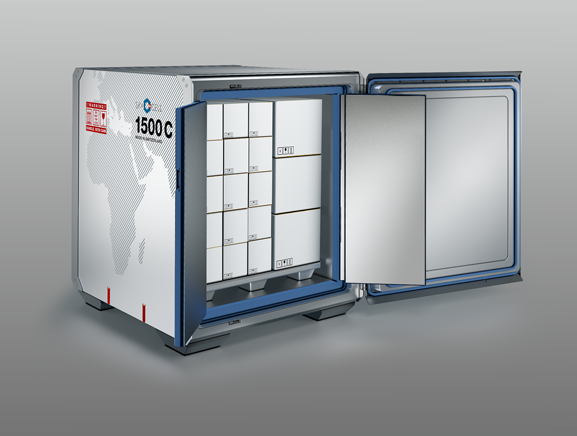 The lower weight and higher net volume efficiency of SkyCell containers ensure that CO2 emissions are 20% to 50% lower compared to active RKNs. 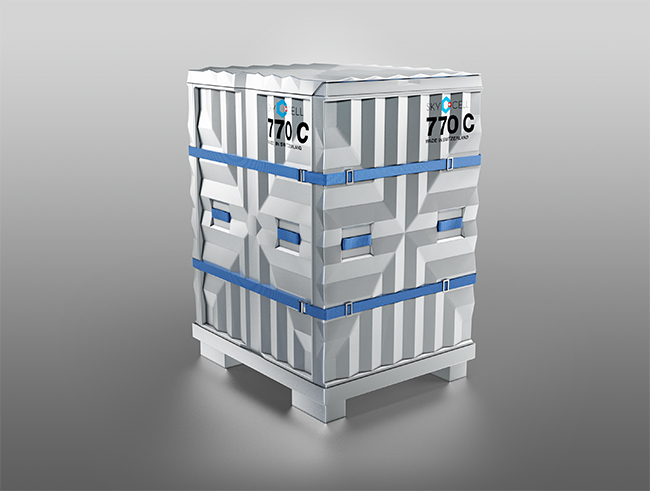 All SkyCell containers are Swiss Made and made from 100% recyclable materials. 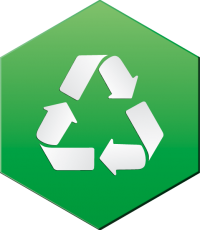 At the end of their life cycles, the container materials are separated and recycled in a home for handicapped people.